Food is the foundation of human survival. Eating is the easiest way to bring happiness to human beings when human beings are hungry. But there are some people in our lives, people with bulimia, eating becomes painful for them. When they are anxious, panic, and pressureless, they eat wildly. After they realize that their eating patterns are abnormal, they will feel guilty about their overeating and make some clearing actions such as vomiting and laxatives. Overeating often begins with dieting, with up to 91% of women trying to control their weight by dieting, and 25% of this number may suffer from eating disorders (ED). More frightening is that bulimia is a monster that rarely moves alone. It is often accompanied by personality disorders, anxiety disorders, etc. It is a mental illness with suicidal tendencies and self-harming behaviors. Ed has the highest mortality rate among mental illnesses. A fixation on an extreme consciousness of one’s weight. Anorexia and bulimia often convert each other like a pair of “twins” in patients with eating disorders. A large proportion of patients with bulimia nervosa often have a successful weight-control experience before they start eating too much. After a long period of hunger, they will suddenly be attacked by a strong appetite in an environment or negative emotions, and into the process of eating and vomiting to vent. People with bulimia can eliminate this anxiety and hunger by taking in a lot of calories. When they are finished eating, they will be surrounded by guilt and anxiety, so they will clear up the stomach. Overeating and cleaning can alleviate their hunger and give them a sense of control over their body. Eating or not eating becomes the theme and the biggest problem for patients’ lives. “All the thoughts in the mind are food. The fear of obesity is increasing day by day. In the beginning, people actively avoided the crowd because of abnormal eating behavior. Later, when the mood became abnormally irritated and out of control, people became more and more lonely and unsocial.” “I have forgotten how to eat normally.” These are the patients’ descriptions of their current situation. The self-blame and guilt of their own abnormal behavior and the inability to try to change make the patient feel a strong depression experience. On the seemingly simple question of eating, the patient is ashamed of this series of dilemmas. This will also make it harder to recover. 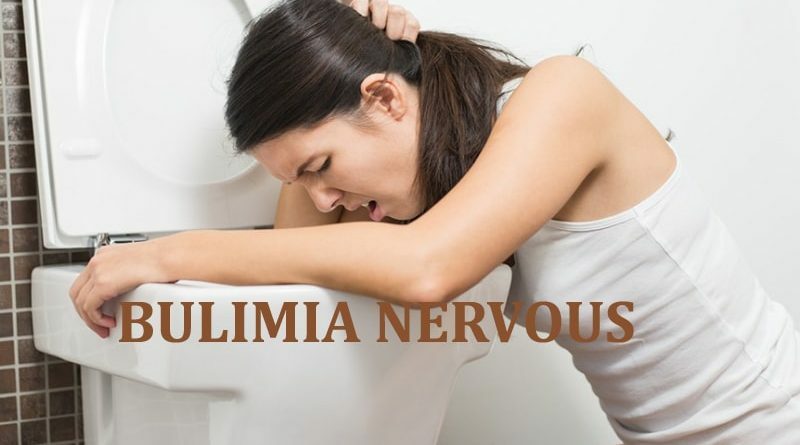 Many bulimia patients also know the dangers of bulimia and have tried to treat themselves. But overcoming bulimia is not as simple as everyone thinks. Treating bulimia is also a very complicated problem. Maybe a patient wants to stop overeating and vomiting today and control her appetite. she controls successfully the next day, and the third day…there is no recurrence after a week, she thinks she has healed. Someday she is in a bad mood, or she has seen foods that she wants to eat but don’t dare to eat, such as chocolate, donuts… she is extremely eager for them, so she is hinting that she only eat a little, the result is obvious – Out of control. When she gets out of control, she will fall into the anxiety of self-blame and weight gain, and naturally, clean up. One of the reasons why eating disorders are difficult to be cured is that food plays a very important role in our lives and can be seen everywhere. You can’t avoid it. Maybe you can avoid it in your mind, but your body can’t avoid it, you need to live. Another reason is that when binge eating can really alleviate negative emotions such as anger, depression, anxiety, and stress, you can gain a sense of control and loss weight. However, using gluttony as a way to deal with negative life is more likely to gain a sense of failure in life and a sense of disgust towards oneself, and it will increase the difficulty of recovery. People with eating disorders such as anorexia nervosa and bulimia nervosa usually use nutritional therapy and psychotherapy. If people with these types of eating disorders take prescription drugs, they are usually an antidepressant that can help them treat the psychological effects of the disease. Statistics show that 50% of ED patients meet the criteria for clinical depression. Although antidepressants can help resolve anxiety associated with anorexia and bulimia, some antidepressants may have serious side effects. However, most people who struggle with eating disorders do not take any type of medication. Because they have a great stigma about their condition and fear of weight gain, which makes them resistant to treatment. For emotional: In 2011, a study by the Biopsychology report found that the body’s endogenous cannabinoid system (ECS) affects a person’s mood and response to food. Studies have found that endocannabinoid systems in people with anorexia and bulimia are impaired or particularly deficient. ECS is a cannabinoid receptor (ie, CB1 and CB2) system that exists on the surface of certain cells in our body. The CB1 receptor is mainly present in brain cells and is also present in the whole body, while the CB2 receptor is located in cells of certain organs and mainly processes the human immune system. The body naturally produces its own endogenous cannabinoids, Anandamide, and 2-Arachidonyl-glycerol (2AG), to stimulate the CB1 and CB2 receptors. The goal of ECS is to stabilize the internal environment of the body in response to the external environment of the body. One of these stabilizing forces is appetite – the body will become hungry when it needs energy. In infancy, we often get this impulse from Anandamide and 2AG cannabinoids in breast milk. These cannabinoids stimulate our appetite. Some researchers believe that ED is associated with dysfunctional ECS and can be corrected by medical marijuana. People with anorexia or bulimia have an allergic CB1 receptor function that affects body consciousness, and the receptors associated with eating seem to be stunted. Medical cannabis produces plant cannabinoids that stimulate the CB1 and CB2 receptors. THC (δ-9-tetrahydrocannabinol) and CBD (Cannabinol) are two plant cannabinoids that directly affect the endocannabinoid system. 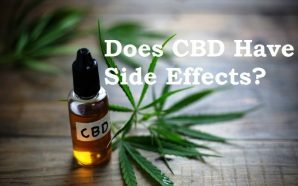 When the body’s self-stabilizing ability is impaired, it can help maintain balance, so CBD can as an appetite suppressant. THC has been shown to enhance the CB1 receptor responsible for odor and taste, as well as increase dopamine levels and hunger. This makes the diet enjoyable and helps relieve depression. In short, THC can actually activate areas of the brain that trigger a euphoric response to food. This is good news for ED patients with frequent dysfunctional ECS and/or clinical depression. CBD cannabinoids can affect CB1 and CB2 receptors, help reduce anxiety and have a stabilizing effect on some of the disadvantages of THC. This will help ED patients reduce anxiety caused by diet and weight gain. 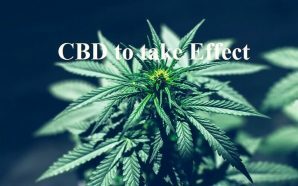 Collectively, these results stem from the ability of the CBD to induce “fat browning” – that is, the conversion of normally white adipose tissue (WAT-white adipose tissue) into beige adipose tissue (BAT-brown and burn it) Beige adipose tissue. Previous studies have shown that increasing animal beige fat can increase their glucose tolerance, making them more resistant to diabetes and various dyslipidemias. Researchers at the University of Nebraska Medical School in Omaha, Nebraska, in a study published in the American Journal of Medicine in 2013 found that the use of cannabis (or marijuana) is associated with smaller waist circumference. 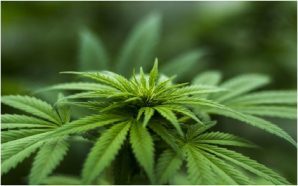 The study included 4,657 adult males and females who used cannabis, currently or in the past, and this is relevant because cannabis contains CBD. A study published in the journal Obesity in 2016 surveyed 786 Alaska native adults in a community with high rates of cannabis use. 57.4% of the study population used weeds, and their body fat percentage and BMI were lower than non-users. 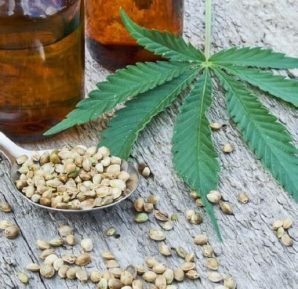 Although CBD can relieve anxiety, calm mood, and have no side effects, but do not rely on CBD too much, pay attention to the dose. Studies have shown that excessive cannabis consumption can cause panic, depression, and anxiety, which can exacerbate some eating disorders. The control effect of CBD on weight can’t be an excuse for overeating. It is just an aid to help you resume normal eating, and alleviate the anxiety that your weight will increase after you return to normal diet, find the fun of food. Everyone metabolizes things at different speeds, and some people will find that 5 milligrams are enough for them, but others may need as much as 50 milligrams or more. The best way to find the right dose is to start with a low dose (probably 5 mg) and then achieve the desired result in your own way. Try each dose for a few days each time and give it a chance to work. If you don’t feel the desired effect after about five days, try increasing the dose by about 5 mg for a few days. Repeat and increase as needed until you find the right one for you. 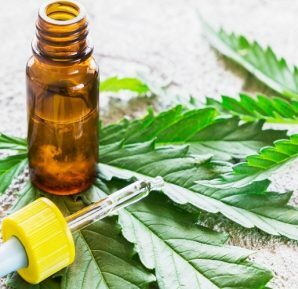 Compared with the anti-depressants drug that usually is used to treat bulimia, on the one hand, the CBD can calm emotions and relieve anxiety. it can help maintain balance and inhibit emotional bulimia when the stability of the body’s endocannabinoid system is impaired. 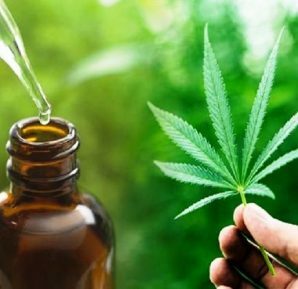 On the other hand, CBD can improve metabolism, can help patients to safely restore their diet, control bulimia to become anorexia, and reduce the recurrence rate of bulimia. In fact, as more and more countries accept and recognize the therapeutic use of medical cannabis, their full medical potential will be realized. In the United States, there are currently 23 states that allow medical use of marijuana. As more and more follow, the stigma of using cannabis for medical purposes may be eroded. 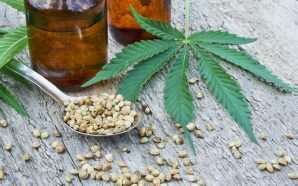 There may be more research funding on the full potential of medical cannabis and how certain genetically developed strains can be used in many different diseases, including treatment of eating disorders. There are too many kidnappings in this society. The so-called “mainstream” establishes a set of criteria for beauty. Anyone who does not meet this standard is ugly. the “beauty” in the eyes of the public is usually linked to “skinny”, “high” and “white”. so many patients feel that they are inferior or have no confidence to interact with others. But I think that instead of pursuing perfection and catering to the aesthetics of the public, it is more important to open your heart and treat yourself as gentle, tolerant, accept the imperfect self. Moreover, is there only one standard to beauty? The pursuit of perfection is an imperfect behavior. Everyone is a unique individual whether it is high or short, fat or thin, black and white, even the most advanced cloning technology cannot be copied. 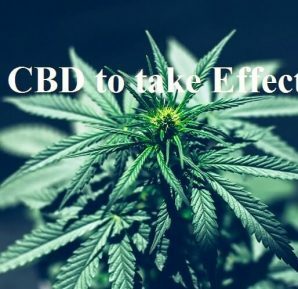 Please try to use CBD to help you recover. After all, loving yourself is the beginning of a lifetime of romance.